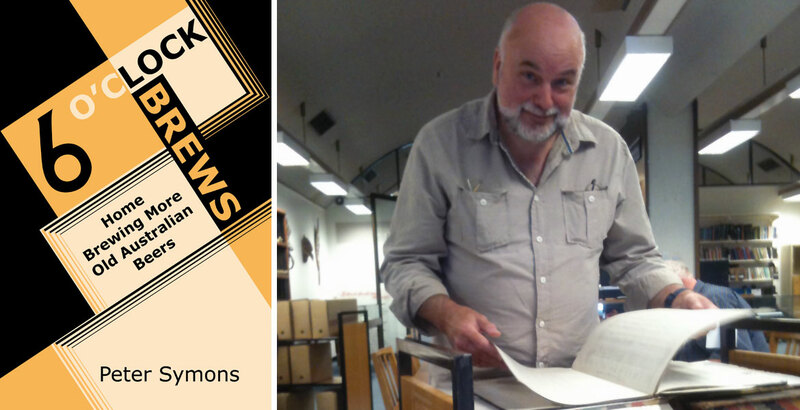 Early in 2016, Peter Symons published Bronzed Brews, a collection of 42 recipes for long lost Australian beers that homebrewers could bring back to life. He enjoyed it so much, he's already produced a second book. In 6 O'CLOCK Brews: Home Brewing More Old Australian Brews, he has unearthed another collection of lost beers after being invited to plunder the treasure troves of some of the country's oldest breweries. His research took him across the planet again, including deep into the archives of the Coopers family. How was Bronzed Brews received? I have been very pleased with the response to my first book. I was unsure how it would be received. What I did not expect was that self-publishing through Lulu, with its global exposure, has resulted in about 50 percent of sales being in the US so far. But perhaps some of those may have been Aussies buying in the US store? Was there clamour for a follow up? The follow up was mainly driven by me, as I felt there was more to say. In the editing of Bronzed Brews, a lot of content, including some of my favourite bits, ended up on the cutting room floor because of incomplete information. I’m ruthless when editing! The clamour has been mainly around Melbourne No. 1 Yeast being made available in Australia. In August 2017, White Labs WLP059 Melbourne Ale Yeast was released and made available to homebrewers in Australia through local homebrew shops. Homebrewers, especially on Aussie Home Brewer (AHB) trying out the recipes resulted in a lot of discussions. Both 6 O’CLOCK Brews and Bronzed Brews detail early 20th century Tooth and Co recipes that could well have used WLP059 and, in 1911, Grove Johnson was advertising the yeast in the trade press of the day, so a lot of breweries around Australia could well have used it as their yeast. What recipes have you unearthed for the second book? Boag's in Launceston, where Peter was able to unearth many of the recipes in the book. 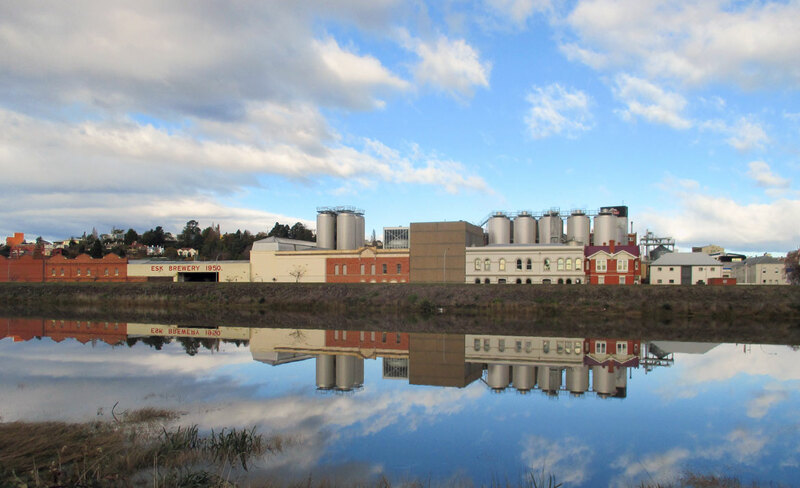 Last year, I was fortunate to meet the brewers from Boag's and I went to Launceston in Tasmania. Thanks to the very helpful Jai Paterson, I spent a day in an attic and a room in the brewery which uncovered beers from not only Boag's but Cascade and also some from Fremantle. Later last year, I was at a conference in Perth and had pre-arranged with the State Library of Western Australia to access the Swan Brewery records that they hold, which produced some Emu and Swan brews. On work trips to the UK, I visited the Bass Museum Archives at Burton-upon-Trent to find out more about beers exported to Australia. The London Metropolitan Archives and the Westminster City Archives also provided some comparison brews from the UK. Plus, of course Coopers Sparkling Ale and so on (see below). Was it more of a challenge than first time around? I found the writing process somewhat easier as I had a structure to follow and avoiding too much rewriting and re-sequencing. The challenge this time was more around not getting distracted and going down rabbit holes, in particular when searching on Trove for secondary sources to provide historical context for the recipes. To mix some metaphors, these holes are a bit of a dual edged sword, as sometimes you find really useful and relevant information and sometimes it just chews up time. Can you tell me more about the research process? My process is to use Google to find brewery archives and if these are held in a publically accessible place, like a library, it usually comes down to using multiple search terms to find if they have any production records (primary sources) – sometimes helpfully labelled Brewing Books. Contacting the library is the next step to check that the information is actually available and tee up a time to visit. I have visited the ANU Noel Butlin Archive in Canberra on several occasions for Bronzed Brews and you may think that an archive is static. I have found that is not so, archivists work away at cataloguing the collections and what was discoverable in 2012 had been augmented by 2016, revealing new areas to explore. Whichever way you get to the records, it includes delving into heaps of mouldy brewing books, and standing for hours photographing for later analysis. How did the Coopers research come about? 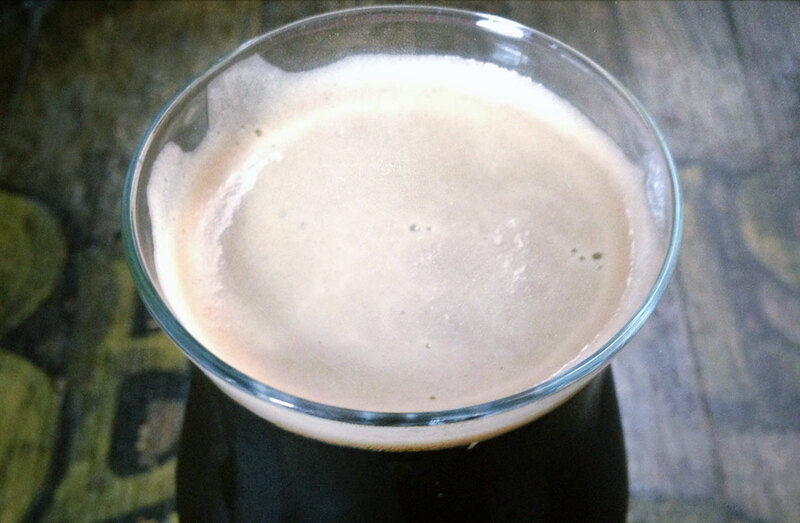 Coopers Best Extra Stout is one of the recipes for home brewers in Peter's new book. Well, I felt one of the key Australian stories was incomplete – brewing details for Coopers' iconic Sparkling Ale and Best Extra Stout were missing. When I attended ANHC5 in Adelaide, Dr Tim Cooper was one of the speakers, so I grabbed the opportunity after his presentation to wait in the queue to speak to him. In my “30 seconds” I gave him a copy of Bronzed Brews and asked if I could look at his archives. He reciprocated by sending me a copy of the 3rd Edition of Jolly Good Ale and Old: Coopers 1862 – 2012. This was a great read from an historical and business perspective and led to a dialogue about visiting Regency Park. And so it came to pass in late January 2017 I spent three days going through over a 100 years of Coopers’ archives. Which were in really good condition unlike most records that I have accessed. This rare privilege of access to Coopers Brewery archives meant I was able to document the evolution of Coopers beers over 100 years or so. These Coopers recreation recipes form the backbone of 6 O'CLOCK Brews. Also, Dr Tim wrote the foreword. Do you have a particular favourite of all those in 6 O'CLOCK Brews? If so, care to share it with readers? Not really, however, if pushed to select one it would be the 1927 Coopers Sparkling Ale. Variations to the recipe could be to substitute the Maris Otter with Crisp Chevallier (available from The Brew Shop) and swap some of the EKG (East Kent Goldings) with Saaz perhaps for the last addition as was sometimes done. What is the story behind the name of the book? Most of the beers in 6 O’CLOCK Brews were bottled. One of the major triggers for the increased sales of bottled beers was the reduction in hotel opening hours around Australia. Various referendums were held after the temperance lobbying during WWI and, by 1916, most states except WA and Queensland had closing at 6pm. Early closing in NSW was supposed to be a temporary measure to be withdrawn within six months of peace or at the end of the war. However, the State Government, due to lobbying by the temperance movement, reneged on reinstating pre-war opening hours and 6 o’clock closing remained in force til 1955. This, I think, had two consequences: the working man who got off work at 5pm had one whole hour to consume as much draught beer as necessary, i.e. “The 6 o’clock Swill”; and the early closing led directly to the increased demand for bottled beer for home drinking. I hope that there are still more brewers’ books out there waiting to be discovered, particularly in the established breweries of Adelaide, Brisbane and Melbourne and also, perhaps, amongst the family history documents of those descendants of brewers who shaped the Australian brewing industry in the 19th and 20th centuries. Perhaps with some more data, a trilogy of old Australian beer recreation books could be on the cards? If anyone can provide me with access to old brewing records I would be most grateful, I can be contacted at prstemp@yahoo.com.au. You can pick up a copy of Peter's latest book here.